We at “Locksmith Cinco Ranch” are well known service provider specialized in auto lock repair that you can trust and rely on. 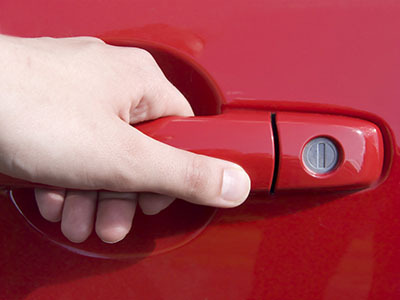 Our team and services remain available 24/7 so you can call anytime you are stuck in an unpleasant situation of locking yourself out of the car or in case you need other services related to auto locksmith. There are several different possible situations where you might need our expert personnel or team. Following are some of the most common occurrences in our experience. That is no brainer and we all do it occasionally. Luckily, if you have a spare key at home and you have locked yourself out while parking your vehicle then you are still good to go. But things change if you don’t have a spare key or of you are away from that additional key. Then you would definitely want someone who can be there after a single phone call, and we provide exactly that kind of service. Quite similar to the situation mentioned above, but in that case you would be little more frustrated because you don’t know where that key went. In some rare but possible situations, you might want to change the lock because you’ve lost the key somewhere you park your vehicle daily. Although this specific case doesn’t happen frequently but it is possible and it definitely makes you, your family and your vehicle vulnerable as the lock is not performing as it should be. In that case, changing that lock must be your top priority. In the short version - we provide every kind of service relevant to automobile locks. In the long version, if you want to unlock an ignition, to make a duplicate key or even change the lock then we are here to help you. If you have dealt with a similar situation in your life then you probably have the idea this kind of work needs expertise, experience and the right tools to achieve results. Our technicians not only have the required skills for this job but also have the experience needed to do this job effectively, efficiently and most importantly without damaging the lock or vehicle itself. We are continuously expanding our team with experts and professionals, and we are just a phone call away from you. Contact us whenever you want our services and we’d be happy to help you out.